As most of my senior portraits are taken in Cary or Raleigh, it’s not too often I find myself in Durham for senior portrait photography, but I was happy to have the chance to visit American Tobacco Campus to take JJ’s senior portraits. 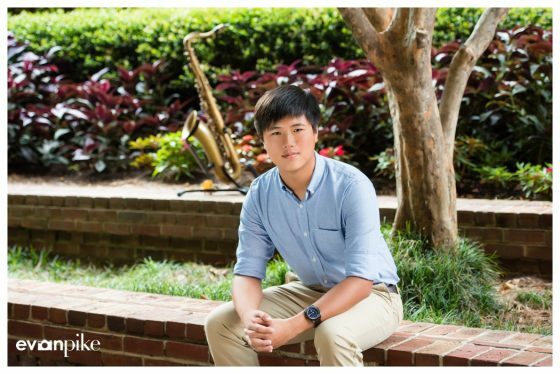 I tried to get JJ to play us a little private concert on his saxophone but settled for just using it in a couple of his senior portraits! With a few different outfits and diverse background choices, we came away with a lot of awesome senior portraits in Durham!